What is Business Intelligence (BI), What Sage Intelligence (SI) and why it's important to have a Business Intelligence Solution? There are a variety of reporting options for Sage 300 ERP customers, but how do you know which one is right for you? Check out the lineup we of complimentary webinars focused on Reporting and Business Intelligence (BI) that we have scheduled this quarter. Sage Intelligence can help transform Sage 300 ERP transactional data into meaningful information, and distribute it to the business users that need insight to direct their actions. 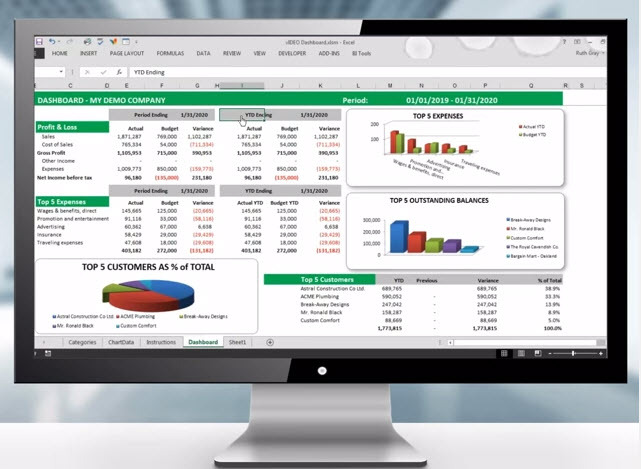 Simply put, Sage Enterprise Intelligence provides all business users with better insight into information, and a simple tool that they can use to facilitate timely, fact-based decision making. The result is a significant reduction in the time and cost traditionally spent accessing and analyzing information. This complimentary webinar session will last approximately 1 hour. To register click here. If you would like more information on Reporting and/or Business Intelligence options for Sage 300 ERP, please contact Equation Technologies today.